This week we continue our new sermon series on “How to Be a Christian in 7 Easy Steps.” Over the course of these several weeks, we will explore the core of our faith in what I hope will be an empowering, uplifting, and inclusive way of looking at our Christian theology. As a congregation that is both theologically and socially progressive, this will be an exploration that seeks to broaden our understanding of God’s unending love rather than restricting our ideology to a select few. When I used to work in the corporate world, we would sometimes – perhaps often – get together for trainings on organization and prioritization. Chiefly, our inspiration or guide was author and speaker Stephen R. Covey. Perhaps you too have seen the video where Covey has a large glass jar representing the finite amount of time we each have. He then fills it with sand, some small rocks, and then some large rocks. Of course, it all won’t fit. But when he shifts the order, the result is different. 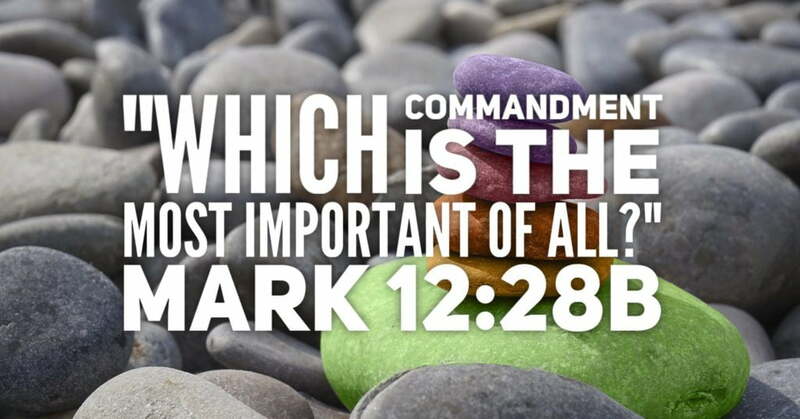 He starts with the larger rocks (representing our biggest priorities), followed by the smaller rocks (representing those things that are less urgent and still important), and finally the sand (representing the smallest things and sometimes even distractions). Everything fits! This Sunday, we will explore what is most important about or faith as Christians. 34When Jesus saw that he had answered with wisdom, he said to him, “You aren’t far from God’s kingdom.” After that, no one dared to ask him any more questions. When it comes to our faith, what’s most important? What are our faith priorities? Does our current culture reflect these priorities? What might change if our culture did reflect these priorities? Even when I called myself an atheist, I believed fervently in the commandment to love one’s neighbor as oneself, as we phrase it in the Golden Rule. And that eventually taught me to love God directly as well.